Summer is here so it’s time to take your portable electronic gadgets for a swim _ but only if you include any of the following accessories to make the device waterproof or water resistant. 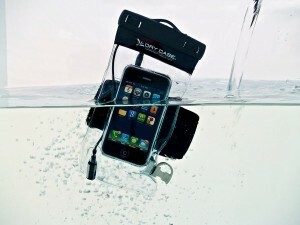 DryCASE has a full combination to take your cell phone camera or MP3 player in the water up to 100 feet deep with sound. Once your slip your device into the see-through plastic, lock the pair of clamps to keep it intact. Then take the air out of the case with the included pump, put on the safety cap and let it sit a recommended 10 minutes to ensure it remains vacuumed air tight. After the air is removed the seal keeps your device and any touchscreen controls or buttons fully accessible. DryBUDS SPORT Waterproof Earbuds & Microphone are built with an over-ear clip to make a perfect companion for hearing any audio being played and are submersible up to 10-feet. They plug into a pass-through headphone port built into the case. I see the microphone being a much better use on land during a storm instead of opening my mouth underwater for an extended conversation. Three sizes of ear buds and a lanyard are included; the newest version of the headphones even has a waterproof microphone, obviously for using above water. If you haven’t seen the new AMC documentary/reality show, The Pitch, you need to check it out. Each week, The Pitch gives viewers an inside look at two different ad agencies as they compete against each other for a national account. The Pitch is on the same network that brings you Mad Men and is produced by Studio Lambert, the same people who produce Undercover Boss for CBS. We knew about The Pitch at AMCP because we had signed a release to allow our awards to be shown on the program. I set the DVR well in advance …then forgot about it. The Pitch has been on for five weeks. I sat down last night to watch the first show and ended up seeing three shows back to back. While the whole process of developing a pitch for a new account is fascinating, the show proves what we all know…ad agencies are gold mines for characters. This is the new Mad Men. No suits and slick, close-cropped haircuts here. Fifty years later, clothing and appearance are self expressive and in many instances a look is accentuated by tattoos, piercings, and dyed and/or spiked hair…. office staples now include dogs, kids, motorcycles, motorized aircraft, scooters, toys, ping pong and video games…. and of course the long hours of inert, unproductive creative sessions are still fueled by caffeine, cigarettes and alcohol (although not on camera in the office). The show’s producers don’t go out of their way to capture the chaos of so many right brains ponging into each other. They focus on interesting stories of compelling characters involved in the serious business of coming up with ideas that can make or break a product and a career. This is a well-done reality show that provides an inside view into what we in the industry know is a non-traditional, sometimes bizarre profession. Recent MarCom and Hermes winners will be featured in upcoming shows… WomenK!nd from New York City, Jones Advertising from Seattle and Bandujo from New York City. 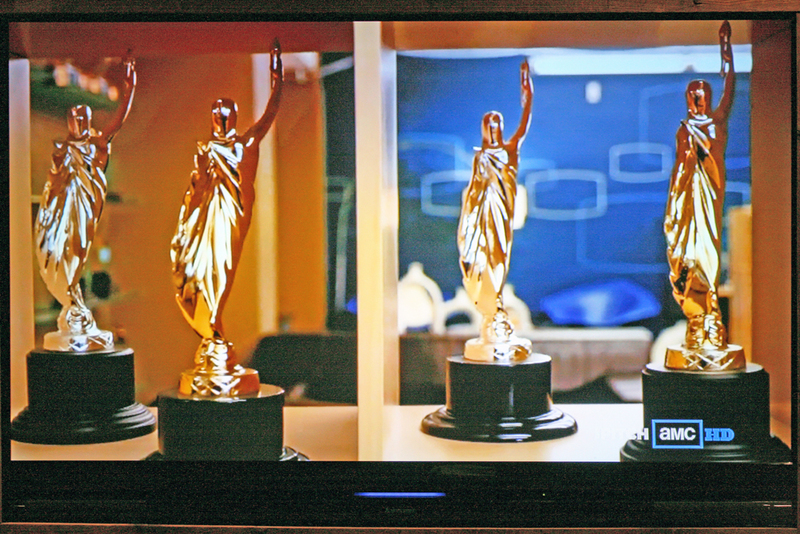 Look for our awards in their offices. WDCW of Los Angeles was featured in an earlier show. The Pitch is seen on AMC on Sundays at 11 p.m. Eastern time. It is also rerun often. At most schools, orientation is a chance to get familiar with a new setting, make some new friends and perhaps engage in social time. At the Kansas City University of Medicine-College of Osteopathic Medicine, you get all that and a chance to do something for your new community at the same time. Incoming medical students get introduced to their new community through a one-day, citywide community service project in the neighborhood surrounding the campus and beyond. 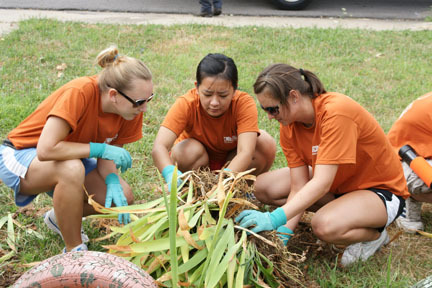 During their orientation on Wednesday, August 3, 2011, all 255 new students participated in the University’s 14th annual “We Care” Community Service Day. 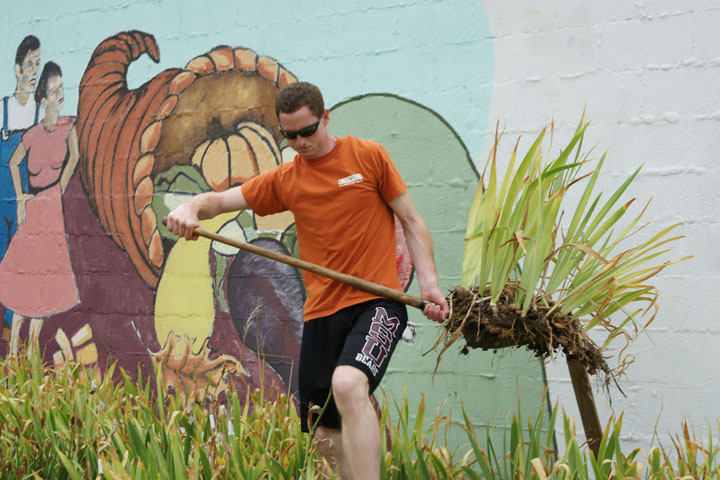 Students, faculty and staff joined forces to partner with 10 area non-profit organizations at 13 different project sites benefiting lower-income residents of Kansas City, primarily those living within the Northeast Neighborhood where the University is located. Students, faculty and staff served more than 1,000 hours in this single half-day effort to benefit those in need in Kansas City, Mo. Community Service Day projects included a variety of tasks, ranging from sorting and repackaging food at a local community food bank, building closets at a women’s shelter, tutoring children and adults in the urban core, and assisting with beautification projects throughout the historic Northeast neighborhood of Kansas City. Throughout its 51-year history, the Acadian Home Builders Association in Lafayette, Louisiana, has donated nearly a million dollars to various shelter related agencies and construction related education programs. AHBA members have made this continuing commitment to their community, even though AHBA is itself a non-profit trade association, which depends upon member dues and yearly projects to fund its own operations. 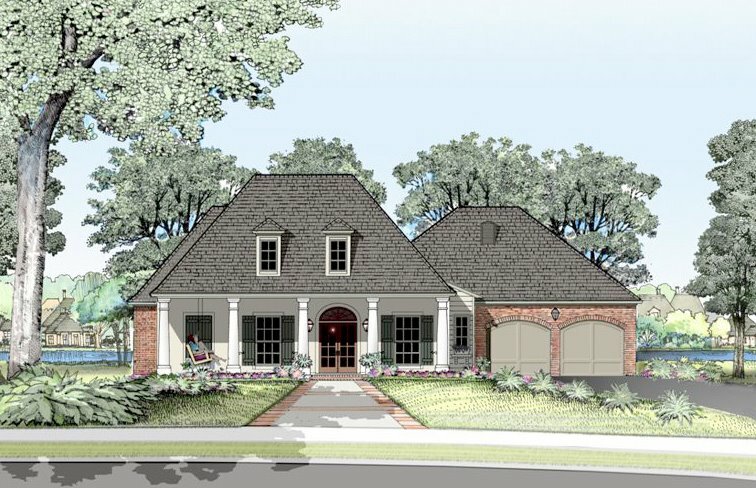 In November, 2005, the Acadian Home Builders Association established a new project geared to providing a more stable and predictable source of funding. It’s called Home for the Holidays and each year, the builder-members and associates build and raffle a new home, with the profits dedicated to funding AHBA’s shelter and education related charities. 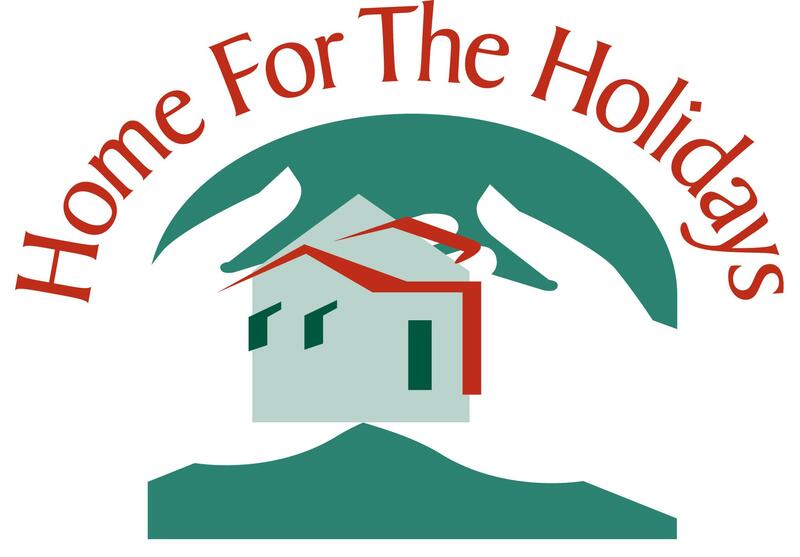 Since its inception, AHBA’s Home for the Holidays has awarded more than $955,000 to its adopted charities, including Habitat for Humanity, The Children’s Shelter of Acadiana Youth (for abandoned & abused kids), Faith House (for victims of domestic violence), St. Michael’s Center for Homeless Veterans and this year has established a special fund with the Community Foundation of Acadiana dedicated to retro-fitting homes for returning war veterans with special disabilities. Kensington has added the KeyFolio Secure for the iPad 2 to its extensive line of innovative tablet accessories. 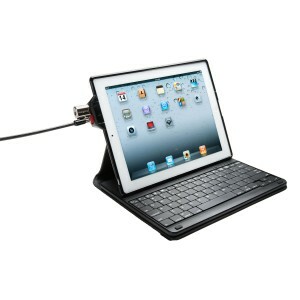 The KeyFolio case is made of strong plastic, which doesn’t add much bulk to the iPad. It features an easy-to-use ClickSafe one-click locking mechanism and built-in security anchor to keep your tablet locked in place and secure. It’s constructed from high carbon steel cables with a corrosion-proof steel lock head. One end locks to your tablet and the other to anything you think is secure to hold it. A Bluetooth keyboard is included with the case and can be used in the case or removed if you want to back up from the screen a bit. The multi-functional case is available for pre-order at Kensington’s site or at Amazon for $129.99. A little spring cleaning this week reminded me of a bunch of items I really like but just haven’t had the time to get to. ZAGG sent an all-in-one press kit of accessories for the new iPad, although many of them can be used with any portable media device. Included was the invisibleSHIELD ($29.99), the company’s patented protection cover film for the touchscreen. When using it you still get 100 percent access to the device’s functions, as if you didn’t have anything on the screen. ZAGG made the cover, which the company says is made from a product that was first used on U.S. Military helicopter blades and is now available for over 5,000 of today’s portable electronics. 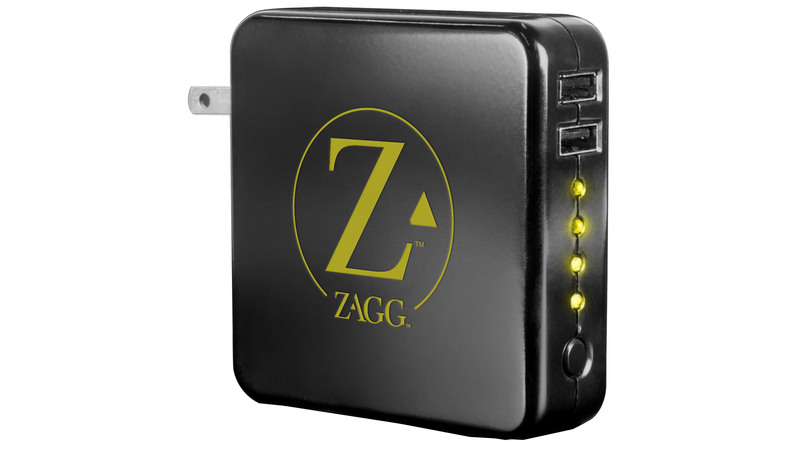 My favorite item is the ZAGGsparq 2.0 6,000 mAh portable lithium polymer battery charger ($99), which supplies more power on the go than most any other portable battery I have seen of its size. I gave a full charge to my iPhone and iPad at the same time with the dual USB ports, and it still had a little juice left in it. To recharge it just fold out the prongs to plug in to any standard household AC outlet. While it’s recharging up you can charge you devices in the pair of USB ports. The ZAGGfoam ($9.99) cleans all your devices and the ZAGGsmartbuds ($49.99) let you get the tunes from the devices to your ears in comfort. 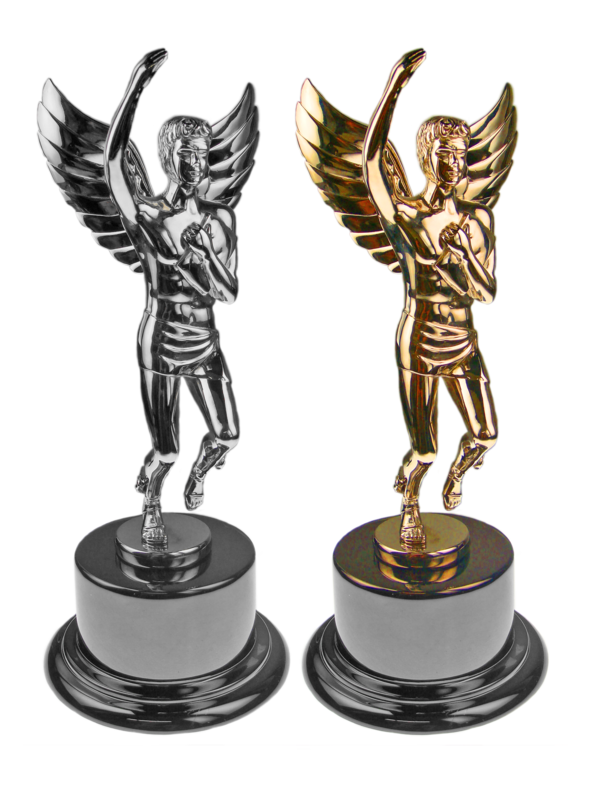 Today is the day we release results in the Hermes Creative Awards competition. Winners will be posted at 5 p.m. CDT. All entrants will receive detailed results in the mail this week. Many of our entrants will be extremely pleased, others will be disappointed. This is the 15th year that the Association of Marketing and Communication Professionals has judged competitions and we don’t take it lightly that what we do is important to many people. 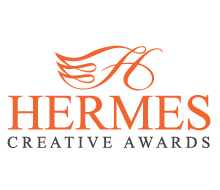 There were over 4,700 entries in this year’s Hermes. It took our judges about eight weeks to carefully scrutinize each ad, publication, marketing plan, website, video etc. It might sound trite that each year the quality of the materials improves. But, the fact is that people who don’t do good work, don’t enter competitions. If you win a Hermes Creative Award, you deserve it. If you didn’t win, you probably still deserved it, but we are only human and doing the best we can. Regardless of the results, we recognize that everyone would like to see a written critique for each entry. Unfortunately, we all have limited life spans and don’t have enough time to write detailed, defensible critiques for each of the over 10,000 entries that AMCP receives each year. If you would like to see some of the entries, we highlighted a few of the outstanding or unusual ones on this blog. These were not necessarily meant to be the best of the best. We only publish entries that we receive online, and have been granted permission to do so. AMCP recognizes that many of our entries are proprietary in nature, are done for the government or are entered by creative people who don’t have specific permission from the client they did the work for (the red tape for getting permission would in many cases preclude entering). So we protect the privacy of your entries. In fact, entries do not leave our facility and are destroyed or recycled immediately after judging. If you were one of our winners in 2012, congratulations. If you weren’t, I guess we’ll be hearing from you. Each year, the judges see the best work produced by the biggest agencies with the largest budgets. However, only a small percentage of the creative industry has the time and resources to produce a project that is the best of the best. A shortage of time, budget and manpower however, should never be a limiting factor for creative ideas, artistic design or imaginative writing. Our judges are all long-time experienced professionals who live the process and know how difficult it can be to take a mundane product and a small budget and make it sing. Based on their experience and an expectation formed by analyzing the client and materials, they are often more impressed with the work of a small agency working on a local project, than the work of a team from a New York agency working for a Fortune 500 client. One of our favorite entries over the years was the resourceful work of a public relations person for a small non-chain New York City boutique hotel. She came up with the simple idea of writing a story about items that her client’s customers left behind in their hotel rooms. Over a couple of months, she conducted a survey that revealed surprising and interesting stats on the percentage of forgetful people and what they forgot. She included insightful comments from chambermaids about some of the unusual items. The story was picked up by the Associated Press. It ran in New York City and newspapers throughout the country. 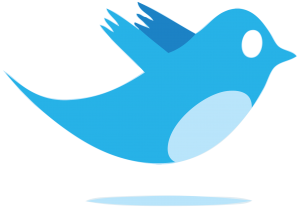 Business immediately skyrocketed from the millions of impressions that it generated. The genius was that it took virtually no money to produce a major impact for the client, and any hotel in the country could have done it. That being said, it does help to have a large budget to design and produce a truly memorable printed piece. Below is an entry from Hilton Worldwide that is one of the most all around outstanding pieces we have ever received. 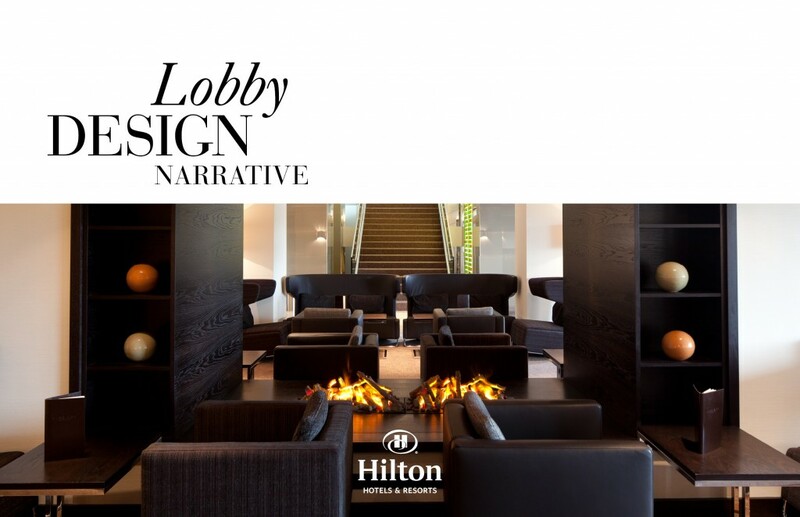 It is a 200-page brochure for lobby design (forgive us but we condensed it to 11 pages). It was entered in the Publication Overall category. Where do you start? Cover? Design? Photography? Writing? Wow. We’d all like to be part of a project like this. 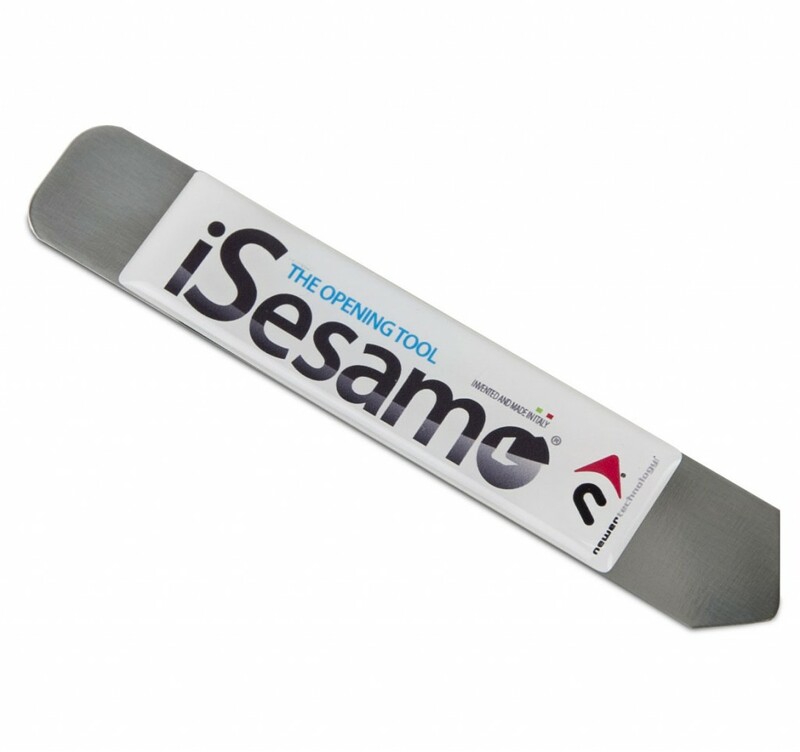 The NewerTech iSesamo steel pry tool makes the tricky task of opening iPods, iPhones or other gadgets pretty simple. Instructions are included for opening some devices but caution should be used when opening anything to prevent damage to the case or the contents. Once you have your device open, it’s simple to replace batteries (also sold at NewerTech) and do other simple repairs. In most situations just insert the tip of the flexible steel blade into the seam of the device and then widen the cover from the back to unlock the clips. NewerTech does have a warning about the iSesamo, “This tool is made of metal and can scratch the casing or glass of your device” so caution should be used.